Purpose: To alleviate the suffering of the homeless by handing out bags filled with necessities such as food, water, and personal items, called Bags of Grace. 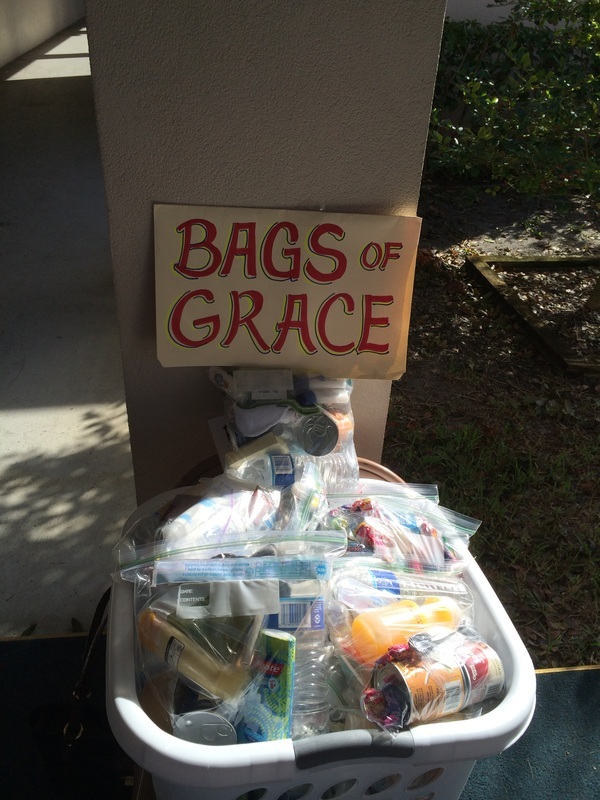 Details: To participate in this ministry, pick up a Bag of Grace from the basket in the back of the sanctuary to give to a needy person. A donation of $3 per bag is requested to cover costs. Place money or check in the offering plate or give to the church office, specifying Bags of Grace.